Please clarify how to provide standard exemption of Rs 40000/- for employee who joined in mid of the Financial year. The standard deduction is annual deduction so even if employee joins in mid-year he is eligible for Rs 40,000 standard deduction. 1) What is advisable paying same amount as Tax or avail benefit of “Loss against Property” but ultimately you pay to the Bank i.e. your outgo remains the same. 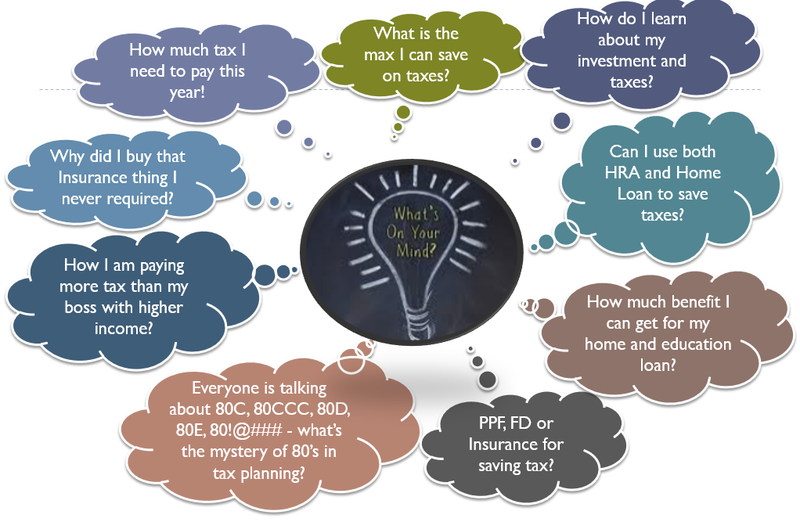 2) How to save maximum tax if annual CTC is more then 30 L ? 1. Yes you pay to bank and also the loss is now limit to Rs 2 Lakhs, which is low if you have loan of more than Rs 20 Lakhs (which most people have as real estate is expensive). So do your calculations and may be pre-paying loan is good option. I do not recommend to carry on loan or take new loan just for tax benefit. 2. Here are all the exemption you can claim for income tax – What is the Maximum Income Tax You can Save for FY 2018-19? 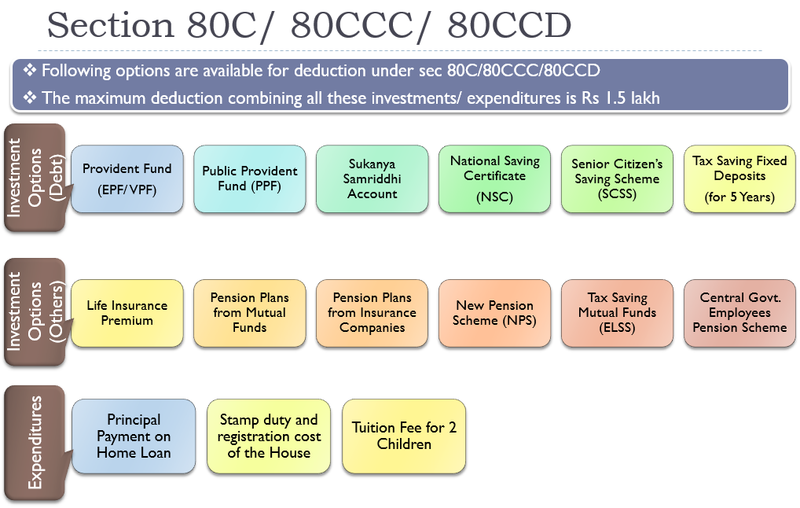 What is the best options for tax saving for 30% bracket people. Thanks Amit for this very informative post. One doesn’t have to look elsewhere now for any tax related query! Is 40000 standard deduction also available for a person receiving “Family Pension”? No the standard deduction of Rs 40,000 is only when you have employer pension and not applicable for family pension. You have income from both salary and business, so you’ll have to choose from ITR 3 or ITR 4 form. As your consultancy can be classified as “Technical consultancy” it may qualify for presumptive taxation (provided the income is less than Rs 50 lakhs). In case of presumptive taxation, you’ll need to pay tax on 50% of income from consultancy and your salary. The TDS deducted would be counted as tax paid and would be adjusted in the final tax payable or returnable. In case you do not qualify for presumptive taxation, you’ll have to calculate your profits from business (revenue – all expenses) and add it to your salary income and pay tax accordingly. The best explanation about tax savings . Can you please explain about interest on house loan(self and rented ) and complete PF contribution and calculation. It would be great help to me and your followers . Thanks for your appreciation! Will write about those topics in next few weeks. Amit, you have given quite good information for taxpayers. Under section 80D, a standard deduction of Rs.40,000 pertaining to the existing transport allowance and miscellaneous medical costs has been proposed. Regardless of that, transport allowances for differently – able persons will continue to exist at the same rate. Amit, Your information is quite valuable for taxpayers. Is surender amount of a pension policy before maturity is taxable. Is there any remedy to save tax in this condition? Yes its taxable. You cannot do much in this case to save tax. अगर 2 वर्ष की पालिसी मैं मई 2018 में लेता हूँ और 50,000 रुपये का प्रीमियम देता हूँ, तो FY2019, FY2020 और FY2021 में कितना टैक्स बेनिफिट ले पायूंगा? I have lost around 3 lakh in the year 2017-2018 in share market. Somewhere i have read we can show the losses made in equity market maximum in the 2 years. I am thinking to show just 1lakh in the year 2017-2018 and 2 lakh in 2018-2019, to save tax because of my slab. Please suggest whether i can do that or if any other suggestions? I have taken loan in co-applicant(husband & wife). In income tax savings of principal and interest, how much percentage of share we can apply?? Or can we claim as per our salary slab as per our requirement???? If there is NO % of ownership you can assume it to be 50% each and claim 50% of both interest & principal accordingly. In case you want to change the % holding you can (depending on proportion of EMI each one of you pay) but keep it constant year over year.